18-21 September 2017, the GOTSolar consortium organised a symposium devoted to recent progrees in perovskite solar cells. The chairpersons of the symposium were GOTSolar leaders: Janusz Lewiński (IChF PAN), Adélio Mendes (U. Porto) and Emmanuelle Deleporte (CNRS), and the local organising committee consisted of IChF PAN students. 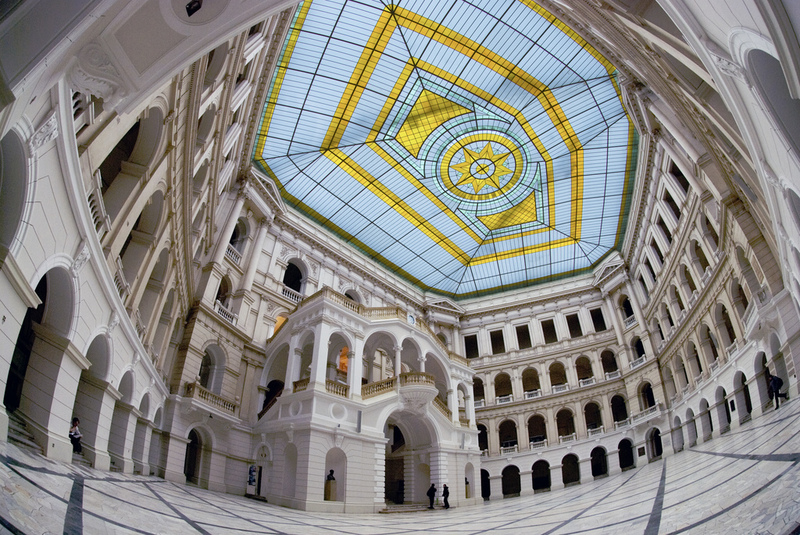 The event was hosted at Warsaw University of Technology. The PSC symposium was organised within the framework of the European Materials Research Society's Fall Meeting gathering 1000+ scientists in materials science in 20+ symposia of different topics. The French partners from CNRS-Rennes have organised the third French Workshop on Hybrid Perovskites, JPH2017, 9-10th May 2017 at the MOLTECH laboratory of the University of Angers. The event has been supported by the GOTSolar project in terms of scientific impact and programme. Two out of three plenary lectures were also given by GOTSolar consortium members. This event was a great opportunity to disseminate the work performed whithin GOTSolar. JPH2017 gathered more than 100 participants from various fields and was the occasion for sharing the ideas behind GOTSolar with the rapidly growing French perovskite community. Plenary lecture of Michael Grätzel opening JPH2017. Plenary lecture of Jacky Even. Ferdinand Ledée during his talk. 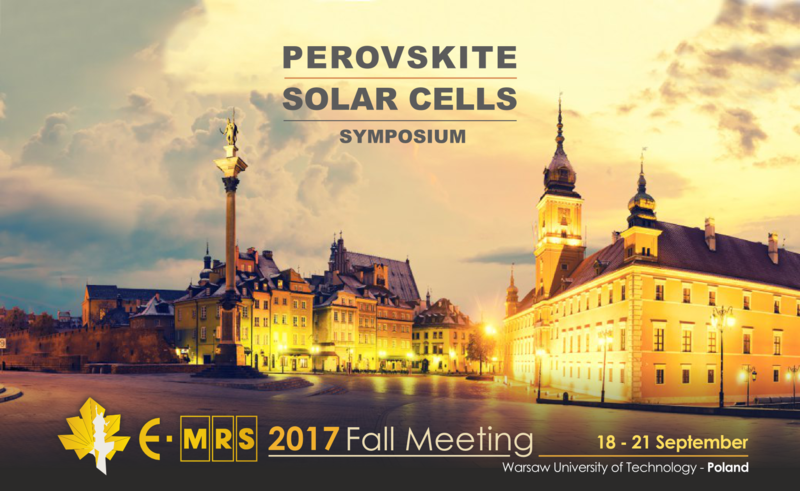 Welcome to the website of the Perovskite Solar Cells symposium organized within the E-MRS Fall Meeting. The conference will be held 18-21 September 2017 in Warsaw, Poland. The abstract submission deadline is 29 May 2017. The European Materials Research Society (E-MRS) was established in 1983 through the initiative of individual European Materials scientists in order to enhance the links between materials science and industry and to provide a voice for the materials community. Its annual Fall Meeting provides the opportunity to exchange ideas, expand one's knowledge and make new contacts. The conference will consist of 23 parallel symposia and a plenary session and provides an international forum to discuss recent advances in the field of materials science. The conference will be augmented by an exhibition of products and services of interest to the conference participants. For more information visit the general website of E-MRS Fall Meeting. Registration is possible at the general website of the Fall Meeting. Direct link for submitting your abstract is here. Before registering please have a look at practical information including Fees, Timeline, and Travel details. 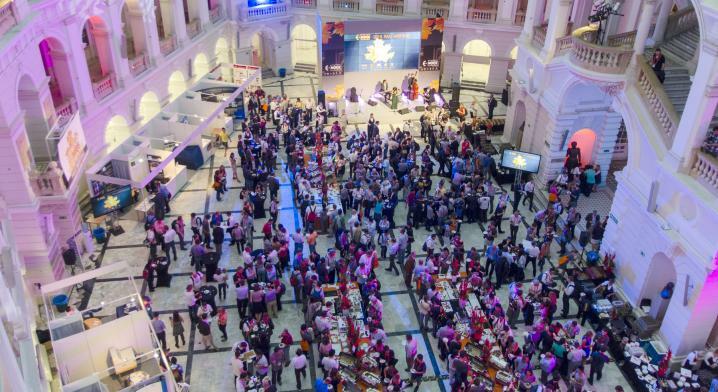 The conference will take place at the ancient campus of Warsaw University of Technology in the heart of the town, walking distance from central railway station.